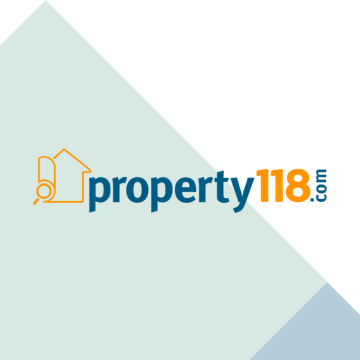 Property118 | Should buy to let landlords buy life insurance? When The Money Centre pulled out of the buy to let mortgage market back in 2009 Ms T decided to become a financial advisor. She obviously still arranges lots of buy to let mortgages but what really surprised me was when she told me that landlords also ask her to arrange their life insurance. Most of the landlords I talk to aren’t interested which is why we never sold life insurance at The Money Centre. Ms T said that’s what she used to think too but her opinion now has completely changed and she explained why. As you probably know, financial advisers are regulated and have to prove that they know their clients. The FSA has strict rules called K.Y.C (Know Your Client) so one of the questions that Ms T always asks landlords when she’s arranging a mortgage to help them buy a property investment is why they are doing it. As you might expect, the answer is more often than not to provide a nest egg for retirement. Others invest into property to provide a legacy for their children, to funding further education or with a view to helping their children out later in life, perhaps to get on the housing ladder. Ms T’s next question, especially where couples are concerned, is what would happen if one of you were to die. The stock answer is that the property would either be retained by the surviving partner or it would be sold. Would the surviving partner want to keep the property, maybe, maybe not. If it was sold though, what would replace the future growth on the investment? How would retirement or children’s futures be affected? It makes you think doesn’t it? Another reason that landlords are buying more life insurance these days relates to the credit crunch. You may be forgiven for thinking that may deter people but again Ms T made some very good points. There is a very good chance that landlords who arranged buy to let mortgages in the five years prior to the credit crunch are now with a mortgage lender which is no longer in the market and has targets to get as much money back as possible. Examples include Mortgage Express, Capital Homeloans, Irish Permanent and several others. These landlords have got some fantastic deals in terms of mortgages and would be very reluctant to change them for the deals now available. Given that properties have fallen in value and lenders are now offering mortgages at lower LTV’s there’s also a very good chance that a substantial amount of money would have to be put into a deal to refinance. What if the mortgage lenders were to insist on the loans being repaid if one party to the mortgage was to die though? Could the survivors raise the extra cash or might they have to sell? What if the sale proceeds didn’t cover the repayment of the mortgage? These are more very compelling reasons for landlords to purchase life insurance according to Ms T.
I’ve always been a big believer in life insurance. In fact, I spend £800 a month on it, but that’s because I have a lot to protect and I have health issues which bump the premiums up. It doesn’t help that I’m a smoker too. I suspect Ms T would tell me these are all reasons why it’s even more important for me to have life insurance. Ms T made another very good point regarding affordability. Pre-credit crunch the bank base rate was 5%, it’s now 0.5% and looks like it will stay that way for quite some time. With a 90% reduction in the bank base rate, most landlords biggest expense, the money has been created to buy life insurance protection whilst we are in such turbulent times. You are here >>> Part one – Should buy to let landlords buy life insurance? Part two – What happens to mortgages when a landlord dies? Part three – Barry’s story – it could have been you! Part four– Why up to 40% of your life insurance payout could end up in the hands of the tax man. Part five – Financial Advice – how do you pick an adviser? SURELY THERE IS NO REQUIREMENT TO REMORTGAGE IF ONE JOINT MORTGAGOR DIES. You'd hope that was the case wouldn't you Joe? Trouble is, hope is NOT a good a good strategy for landlords. It all depends on what the lenders T&C's say and whether they choose to enforce them. Sadly, some mortgage offers do contain such T&C's and some lenders have enforced them, in particular the lenders that stopped lending in 2008 onwards. They can and do use what was written in their T&C's to recover money. I know a guy with the equiavlent of two roads of houses who died - single ownership. As I understand it, all £300k mortgaged houses were actually worth £250k which potentally left a big debt to his children etc. (not sure how factual that inheritance rule is). Converesely the insurance policy policy (so to speak) meant no debt and the houses are still doing what they are supposed to be doing, making money for the kids future life (and career?) whilst the executors are babysitting them and the management of the portfolio meantime. Of course two streets worth of interest only non paid off mortgages is quite a lot of money to insure. Changing the subject I do believe there is something to be said for starting to pay off the balance later in the mortgage, lower monthly interest payments, lower final balance if your provider drops you in it - and possibly more negotiating power on keeping/getting a mortgage with more security and less loan. Once a portfolio is established the old way is to live it up somewhere when the cash is no longer recycled back in. I say the new way is to live it up a little at first whilst paying off capital then after live it up a lot. No-one knows how these providers will start snapping people off down the line and no-one knows how long they will live either. One has to think about the suppliers and the receivers (family). Too keep the cost of life cover low maybe landlords could insure themselves to cover the short fall of equity? A landlord I know had to wait 18 mths for probate to be sorted out when her business partner died. Also IHT is based on the value of a property when the owner dies when probate is set, therefore if it is sold (within 4yrs) for less than the valuation, the beneficiary is entitled to claim back any inheritance tax overpaid. – necessitating quick sale or re-financing whilst ‘under pressure’. the concession that farmers won many years ago. Hi Tessa, are you 70 years old now? Are you the sole borrower / sole owner / lead applicant on the mortgage?